You may have noticed that we’ve been a little quiet on the blog over the past couple of weeks, don’t worry though, we haven’t been neglecting our readers on purpose. We had all been struck down with “The Summer Cold” so we’re very sorry for our absence recently. Having all three of us out of sorts has meant that we hadn’t really had much time for anything. No days out, no fun activities, no blogging, just lazing around on the sofa watching Disney Junior and countless episodes of Curious George. 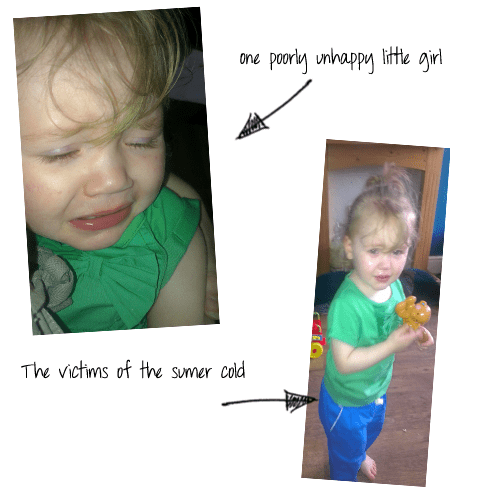 Having one very irritable toddler who was full of a cold and also teething is not the best start to the summer, especially when we had all been struck down with the same bug. Now that we are on the mend we have lot’s of catching up to do, so stay tuned for some fab competitions coming soon! We’ve had lots of great offers and some fab opportunities to work with some great companies, keep your eyes peeled over the coming weeks!